As expected, Bolton were beaten by Sheffield United at Bramall Lane in their last league match. The Trotters suffered three defeats in previous four league fixtures and, as a result, their Championship status is in great danger. 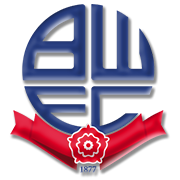 However, seeing that Bolton play well in front of home fans, we predict that they are going to emerge triumphant in Saturday’s football match against Preston, who have little to play for. The Lilywhites are 12 points clear of the relegation zone ahead of Matchday 31, meaning that the hosts want this win more than the visitors. The Trotters are eager to put an end to six-game winless run in the English second tier and we believe that the time has come for the relegation strugglers to give fans some cheer. In their last meeting at Macron Stadium Preston defeated Bolton 3-1, meaning that the hosts are hungry for revenge.